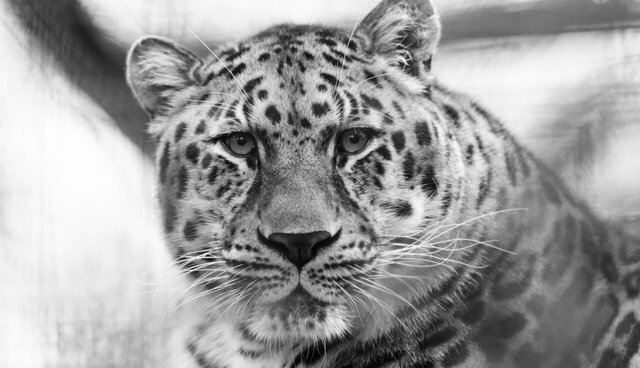 An endangered female Amur leopard that was being forced to breed at a Pennsylvania Zoo was killed by her would-be mate on Tuesday, marking the third time an incident like this has happened in the U.S. over the past three months. The two leopards, 5-year-old Edgar and 7-year-old Lina, were placed together in a cage at Erie zoo on Monday, in the hopes that they would reproduce. But Erie attacked Lina, biting her throat. A veterinarian was unable to save the cat, who was on loan from the Minnesota Zoo. "Many of these animals live their lives relatively solo, and they come together only to breed or mate, so it can be a kind of aggressive process," said Erie Zoo president and CEO Scott Mitchell. Violence during mating may not be unusual for big cats, but it's rare that an animal will actually die. But in December, the San Diego Zoo reported that a female Malayan tiger was fatally mauled by her intended mate during an attempt to breed, and November, a 5-year-old female lion was fatally bitten on the neck by a male lion at the Dallas Zoo in full view of a horrified crowd.